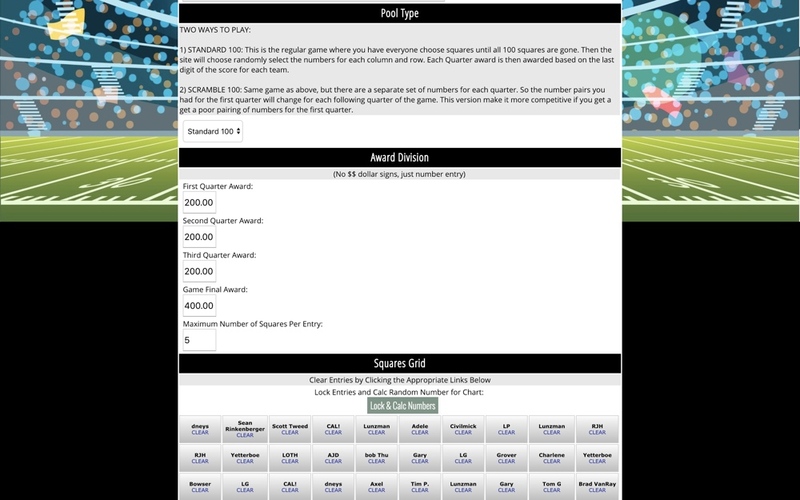 Run Your Own Super Bowl Squares Contest Online! For every football fan, the coupe-de-gras of the season is the Super Bowl. 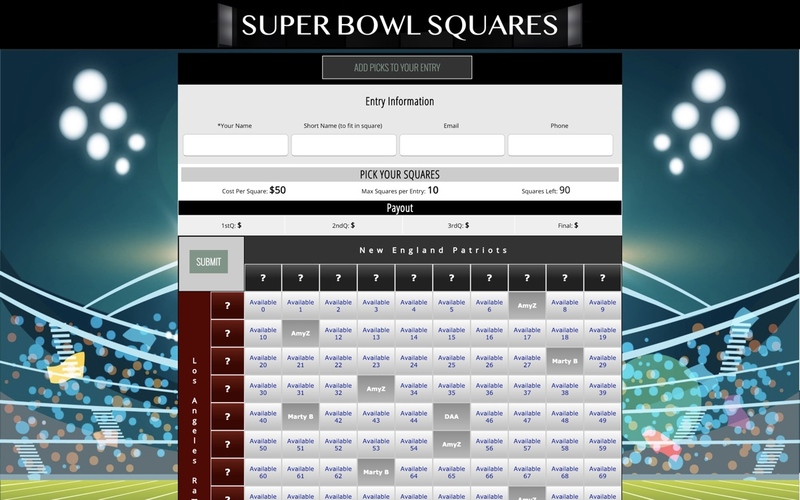 Usually, at your Super Bowl party, someone will start a squares pool in which you fill in a grid of 100 squares. For the first time, this can now be done online. Share the fun of the game with not only your party invitees, but friends from all over the internet. The object of the game, of course, is to choose/buy the right squares that match or correspond with the quarter totals of the Super Bowl. Once all the squares have been purchased, the site will then set the random numbers that correspond to each row and column. Its with these numbers that you match the last digit of the game score with the column number and row number you have chosen.